In February 2013, the partnership between BGCA and communities with Native Clubs strengthened even more with the development of the Native Services Unit. BGCA Native Services is committed to addressing the challenges and issues unique to Native lands. Our team has very ambitious goals to aid in the sustainability and development of all Native Boys & Girls Clubs. To learn more about the BGCA Native Services team members and the specific Native organizations team members serve, click on their names below. 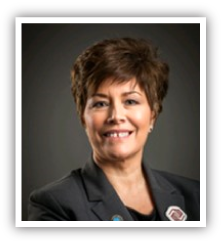 Carla is a proven visionary and strategic leader with more than 15 years of executive level, non-profit experience. She began her work in BGCA with the chartering of the BGC Penobscot in her home and served as the Chief Professional Officer. Carla grew the service area for youth and partnered with five federally recognized tribes to expand programming for Native youth. Carla has received numerous awards to include the Executive Director’s Award for demonstrating outstanding performance, Boys & Girls Clubs of America (BGCA) Native Service to Youth Award and most recently Carla was the 2013 recipient of the Maytag Leadership Award, honoring dependable leaders throughout the BGCA movement. 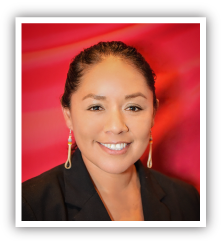 In 2013, Carla accepted a position with the BGCA’s Native Services Unit to assist Clubs on Native Lands across the country as one of the Native Service Unit’s Directors of Organizational Development later to be promoted to the National Director of Native Services. She now serves as Vice President of Native Services. Additionally, Carla is a tribal member of the Penobscot Indian Nation, and Bear Clan, married to Joseph Knapp and proud mother of Imalah and Gary. With the support of her family, Carla’s mission is to provide opportunities that improve the lives of youth and communities. If you are interested in starting a Native Club, contact her via 207-299-3078 or cknapp@bgca.org. Kelly Concho-Hayes is an enrolled tribal member of the Navajo Nation and hails from Tsayatoh, New Mexico. She is Red Running into Water (Navajo) born for the Acoma (Child of the Little Eagle Clan) and Zuni people (Child of the Turkey Clan). Kelly is married to Jeremy Hayes from Nambe Oweenge (Winter Clan), who is currently serving 18 plus years in the United States Navy. They have three daughters, Nanabah, Lena Povi, and Makowa. 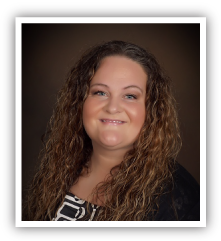 Kelly holds her Master of Education in Curriculum and Instruction and Bachelor of Science in Education from Montana State University. Growing up on the Navajo, Acoma, and Zuni reservations, Kelly is deeply rooted in her traditional teachings from her family and community. Her work has always been with American Indian and Alaskan Native people, which has allowed her to collaborate with various organizations, tribes, and villages across the United States including Hawaii and Alaska at different capacities. If you are interested in starting a Native Club in one of Kelly’s states, contact her via 505-660-6733 or kconcho-hayes@bgca.org. Anna Bear is a Nez Perce Tribe Descendant who was born and raised in Lapwai, ID, in the heart of the Nez Perce Reservation. Anna is married to Frank Bear and is blessed with two amazing bonus children, Peyton and Tyus, and several nephews and nieces. Anna and Frank also have supportive, strong and large families whose unconditional love and support make it possible for Anna to give back and support our youth and communities. Anna has extensive nonprofit management experience and has been with the Boys & Girls Club Movement for 18 years. Most recently she was the Director at the Lapwai Branch of the Boys & Girls Club of the Lewis Clark Valley for 15 years. Anna has both implemented and overseen several youth development programs and activities including Immersion Mentoring, On the T.R.A.I.L. to Diabetes Prevention, mentoring programs, SMART Moves, Tribal Suicide Prevention Program, and GO On Higher Education program. In addition to experience with program implementation, she also oversaw the successful building and sustainment of a brand new Boys & Girls Club building for the community of Lapwai. During her time at the Lapwai Branch, Anna had active involvement with her Club, community, and Tribe serving on committees, groups, and boards to increase her circle of influence to provide more support and opportunities for Native youth. 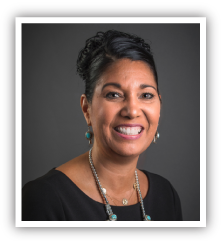 Additionally, she has also served the Boys & Girls Club of America as a National Training Associate and Native Advisory Committee member. 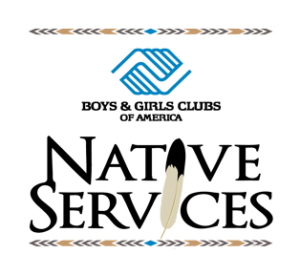 If you are interested in starting a Native Club in one of Anna’s states, contact her via 208-790-5207 or abear@bgca.org. Elwood Pipestem-Ott is an enrolled Tribal member of the Otoe-Missouria Nation. 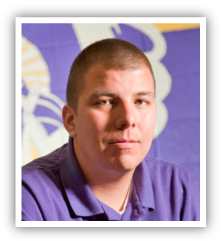 Elwood attended the Haskell Indian Nation University in Lawrence Kansas where he received a Bachelor’s Degree in American Indian Studies. Elwood brings a robust set of skills, knowledge and passion to the realm of advocating for Native youth. In particular, Elwood strives to bolster the holistic health and wellness of young people living in Native communities all across the country through healthy eating, nutritional education and physical fitness. 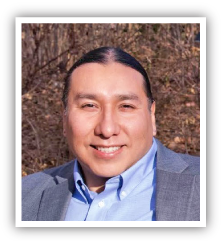 In addition to his skills and passions around building healthy futures for Native youth, Elwood also has experience in managing logistics, and promoting sustainable business development. As Native Clubs continue to grow and thrive in our diverse communities, Elwood’s extensive background in organizational promotion and growth will fully align with the goals of BGCA Native Services. Contact Elwood at 785-218-4218 or epipestem-ott@bgca.org. Tim brings over 20 years of experience in the non-profit sector through Boys & Girls Clubs and YMCA’s. He has played an integral part in the start-up and sustainability of Native American Boys & Girls Club Organizations on the Leech Lake Reservation and the White Earth Nation. His leadership and vision has directly contributed to the advancement of youth services for two Northern Minnesota Tribes. 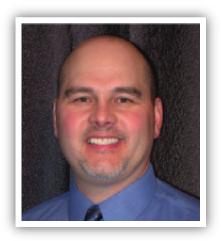 Prior to joining the Native Services Unit for BGCA in 2015, Tim served as the CPO for Boys & Girls Clubs of the White Earth Reservation. During his 11 years as CPO he was responsible for board development, financial stability, organizational growth, staff development and many other aspects of the Clubs operations. He began his career with the Boys & Girls Club movement in 1999 as the Program Director for the Boys & Girls Clubs of the Leech Lake Area, where he played a vital role in the development of program services to over 500 youth on the Leech Lake Reservation. Tim credits his 16 years of work experience in local Boys & Girls Clubs as major reasons why he developed the skills necessary for the work he does today. Tim earned a Bachelor of Science degree in Corporate & Community Health Promotion from the University of Wisconsin-Superior in Superior, Wisconsin in 1995. Tim graduated with honors as he held a 3.65 GPA over the course of his post-secondary experience. He also was a multi-sport athlete as he played both football and baseball during his 4.5 years of college. Tim is a descendant of the Cherokee Nation and Choctaw Nation through his mother. He lives with his wife Kristi in Bemidji, Minnesota and has 2 daughters, Madison and Avery. He enjoys spending time with family and friends and especially loves playing golf in the summer as well as watching the National Football League in the fall and winter as a huge fan of the Minnesota Vikings. If you are interested in starting a Native Club in one of Tim’s states, contact him via 218-766-5252 or treiplinger@bgca.org. Cortney Yarholar is an enrolled member of the Sac & Fox Nation of Oklahoma as well as descendant of the Muscogee Creek, Pawnee and Otoe Tribes. Cortney is married to Courtney Tsotigh-Yarholar of the Kiowa Tribe and father of Jude and Nora whom he learns from daily. He has over 15 years of experience working with American Indian Alaska Native (AI/AN) communities, as well as state and national initiatives. He has assisted with community program development, sustainability and evaluation in the fields of Indian education, behavioral health, health and human service and juvenile justice systems. He is a mental health professional specializing in trauma-informed youth and family services with an interest in decreasing youth suicide and eliminating behavioral health disparities in Tribal communities. He has served as a technical assistance and training specialist with national organizations such as the National Indian Child Welfare Association, Suicide Prevention Resource Center, and OJJDP’s Tribal Youth Training & Technical Assistance Center. In 2003 he attained his B.A. from the University of Oklahoma, majoring in Native American Studies. In 2016, he attained his Master’s in social work from Washington University in St. Louis, MO. In 2008, he completed the National Multi Cultural Institute, cultural competency instructor training. Currently, he is on the steering committee for the National Network to Eliminate Disparities, a SAMHSA initiative where he strives to help foster strength and diversity of individuals and organizations and help them become more culturally responsive. He enjoys training and facilitating individuals and groups as well as nurturing ideas, hopes and dreams of Tribal communities. He is excited to join BGCA Native Services and welcomes the opportunities ahead with gratitude and respect. If you are interested in starting a Native Club in one of Cortney’s states, contact him via 405-264-3633 or cyarholar@bgca.org. Jacquie has been working mostly within Indian Country for more than 25 years. Her strong leadership experience and capacity building along with her ability to construct solid relationships within communities has brought about positive developments for various tribal organizations and Native communities. 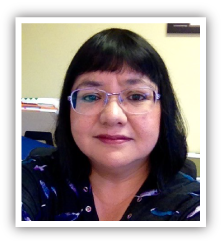 Furthermore, Jacquie has vast experience with Tribal TANF Programs (Temporary Assistance for Needy Families), directing, managing, developing and implementing compassionate and accountable social service plans including youth wellness components. Her strong community outreach and relationship building skills are something she prides herself in. Jacquie is an enrolled member of the North Fork Rancheria of Mono Indians of California. She was previously elected to the Tribal Council and served 10 years with terms as Tribal Chairperson and Tribal Secretary, developing and implementing tribal government initiatives. She is very proud of her tribe and their accomplishments over the years. Born and raised in the exact geographical center of California in the beauty of the Sierra Nevada mountain community of North Fork, Jacquie has 3 fun-loving, full of life grandchildren, Téa, Tatum and Sawyer, whom she absolutely adores. If you are interested in starting a Native Club in one of Jacquie’s states, contact her via 559-676-5239 or jvanhuss@bgca.org. Norma holds a BBA in Organizational Behavior from the University of North Texas School of Management. She joined BGCA in 2013. In her current role, she serves as the BGCA liaison for Native Boys & Girls Clubs, and supports BGCA Native Services. Contact Norma at 972-581-2374 or nbrown@bgca.org.